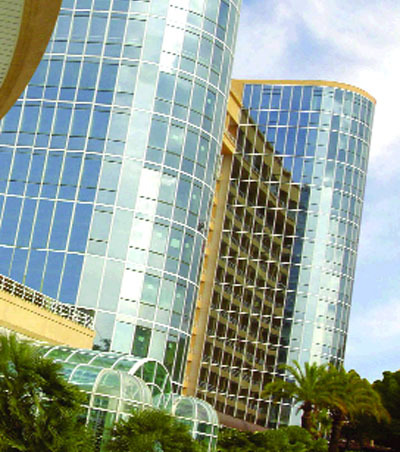 Le Méridien Beach Plaza in the Principality of Monte Carlo has opened its 17.2m euro (£12m, US$23m) Cristal Concept glass towers adding 66 rooms, a new lobby and L’InTempo restaurant and bar. The new bedrooms all have Mediterranean views and include a penthouse suite situated on the twelfth floor of each tower. The 220-cover L’InTempo restaurant is the only restaurant in the Principality to be open 24 hours a day. 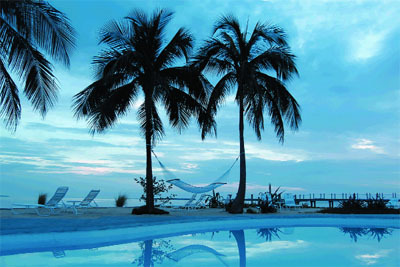 The multi-million pound Casa Morada hotel has opened in Islamorada, in the Florida Keys, US. The brainchild of three New York hotel executives, the 16-suite hotel is situated on its own two-acre island on Florida Bay, surrounded by palm-fringed gardens. The hotel has undergone two years of extensive refurbishment and landscaping. The interior blends contemporary and classic design with white terrazzo floors, dark wood and colonial furniture. The hotel also boasts a freshwater pool which is positioned directly on the Bay. Each suite has a private terrace and features king-size beds, outdoor showers and spa pools. The owners – Terry Ford, Heidi Praver Werthamer and Lauren Abrams – have previously worked for Ian Schrager hotels. Six Flags Marine World in Vallejo, California, is launching its new interactive Ocean Discovery attraction in March. 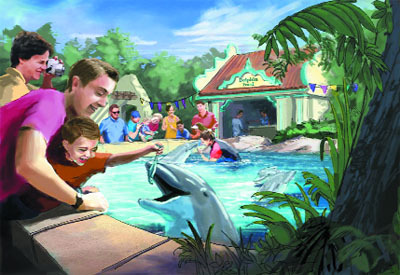 The new Caribbean-themed area at the park will include a dolphin pool, a stingray tank and an outdoor rocky pool with warm water penguins. Guests will be able to touch and feed the dolphins and stingrays while learning about the conservation and protection of the mammals. Cypress Gardens in Winter Haven, Florida, US, has announced its expansion plans for 2005. The theme park, one of the oldest in Florida, will add a new waterpark to its existing attractions and will increase the number of rides by six to 38. All six new rides have been designed and built by manufacturer Chance Morgan and include a 27m Giant Wheel and the 85mph Pharaoh’s Fury swing. The $10m (E7.6m, £5.2m) Splash Island waterpark will open in time for the 2005 summer season. A finalised design scheme for the National Children’s Museum in Amman in Jordan have been submitted by UK-based design consultancy Hayley Sharpe. The £4.1m (E6m, US$7.6m) exhibition – inspired by Her Majesty Queen Rania Al-Abdullah – links more than 15 topics including science, the natural environment, humanities, trade and commerce, technology and Jordanian and Arab culture. 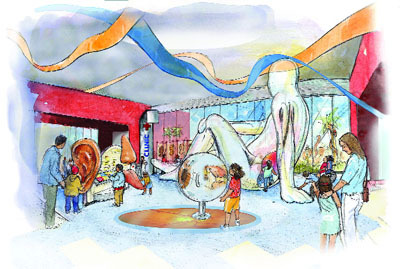 The museum will also include a giant body with a digestive system to show how the human body works and a child-scaled townscape to show small visitors life in the adult world. Plans to build the world’s first sea floor resort on the Bahamian island of Eleuthera are a step closer to reality as the company behind the venture has completed the design of the underwater portions of the complex. 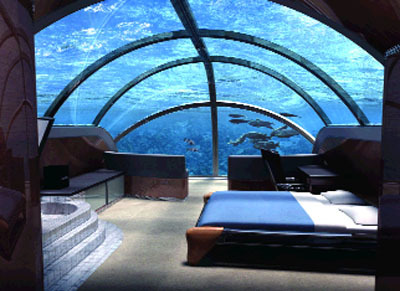 Poseidon Undersea Resorts (PUR) intends to create an underwater hotel with accommodation available in 20 luxury rooms and two themed suites. The 550sq ft (51sq m ) rooms’ ceilings and seaward walls will be made of acrylic and offer visitors views of the ocean. Each room is to include a spa pool and guests will be able to operate exterior underwater lights and automatic fish feeders from control consoles within their rooms. The resort is due to open by 2007. TWO LUXURY SPAS are to open at the Emirates Palace in Abu Dhabi, United Arab Emirates, by the end of the year. The spas will be located at the end of each of the east and west wings. It is understood that the treatment list is to include a mixture of European therapies and traditional Asian massages as well as Middle-Eastern body scrubs. The Emirates Palace is owned by the government of Abu Dhabi and is due to open during spring 2005. Wow! Work Out World continues its international expansion with the launch of its first club in Canada. Rob Rooksby of Alberta, Calgary, has invested CAN$1m (US$800,000, £430,000, 620,800 euro) in the facility, which boasts a women’s-only fitness section, three circuit areas plus a juice and coffee bar, tanning salon and child care facilities. The club replaces Rooksby’s former fitness facility, which he ran for nearly nine years. This is the 25th licensed club for the family-owned chain and the seventh international site. Casino operator MGM Mirage has reported strong full year results, with operating profits increasing to US$950m (728m euro, £502m) from US$699m (535m euro, £370m) the year before. Overall revenues within the group were US$4.24bn (3.25bn euro, £2.24bn), with MGM’s casino arm reporting record revenues of US$2.04bn (1.56m euro, £1.08m). Six Senses Spas has opened a new European spa facility, within the Hotel Arts Barcelona. Situated on the top two floors of the hotel – the 42nd and 43rd – the spa boasts views across the Mediterranean Sea. Facilities at the 900sq m (9,700sq ft) spa include eight treatment rooms, changing areas with their own spa pool, ice fountain, Hammam, colour therapy steamroom and sauna and two outdoor terraces. Treatments on offer include colour therapy as well as the exclusive The Art of Stone therapy. IMAX has announced it will install an IMAX MPX theatre system later this spring at Amsterdam’s Pathe Arena. Pathe Netherlands, which operates the venue, will retrofit an existing stadium seating auditorium so that guests can benefit from MPX technology. The deal is part of IMAX’s strategy to expand growth by establishing multiplex-based IMAX theatres in high visibility locations. Over the last few years, the importance of caring for our planet has become firmly rooted in the international spa consciousness.